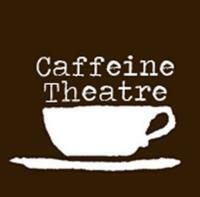 Caffeine Theatre announces that it will close it doors after eight seasons. The storefront theatre closes after producing nineteen shows, including four world premieres, eleven Chicago premieres, two remounts at Theater on the Lake, and garnering nine Joseph Jefferson Award nominations. In recent years Caffeine mounted several more critically acclaimed productions including UNDER MILK WOOD byDylan Thomasand the musical BOOJUM! TRUTH, NONSENSE, ANDLewis Carroll! (both in collaboration with Chicago’s Department of Cultural Affairs), WILD NIGHTS WITH EMILY by Madeleine Olnek, OR, byLiz Duffy Adams, and THE OXFORD ROOF CLIMBER’S REBELLION by Stephen Massicotte. All but UNDER MILK WOOD were Chicago premieres. OR, was remounted as part of Theater on the Lake’s season this summer. Caffeine had also become well known for its series of Coffeehouse Cabarets which brought together hundreds of poets and artists from across several disciplines and partners such as The Newberry Library, the Department of Cultural Affairs, the Chicago Celtic Festival, the Istituto Italiano di Cultura di Chicago, Literary Managers and Dramaturgs of the Americas, Chicago Opera Vanguard, and many theatre collaborators to celebrate art as idea-making. Caffeine Theatre was founded by Jennifer Shook who served as Artistic Director until 2010 when she left to pursue a Ph.D. at the University of Iowa. Caffeine’s current staff includes Producing Artistic Director Jason Beck, who has also been with the company since its founding, Associate Artistic Director/Resident Dramaturg Daniel Smith, Associate Artistic Director/Literary Manager Kristin Idaszak, and Casting Coordinator/Communications Manager Maggie Carlin. Current Artistic Associates are Christine Adaire, Dana Black,Carey Lee Burton, Stephen Carmody, Casey Diers, Thomas Dixon, Donald Gecewicz, Shane Kelly,Ian Rand all, Erik Schnitger, Eric Sisco, and Ruthanne Swanson. “Our decision to close now is primarily due to human capital,” said Beck, “our personnel is collectively experiencing a massive amount of life change which for some includes leaving Chicago. We felt it was the right time to end on our own terms and with our heads held high.” Following Shook out of town are Smith, who has taken a faculty position at Michigan State University, and Idaszak who is entering the MFA playwriting program at the University of California, San Diego. Caffeine Theatre’s complete production history is MAP, SAILING TO BYZANTIUM, SILVA: A POETRY COLLAGE, DONA ROSITA, OR THE LANGUAGE OF FLOWERS, THE COCKTAIL PARTY, THE CURE AT TROY, ION, TRANSLATIONS, LIKE THE MOON BEHIND THE CLOUDS, MANY LOVES, THE CHANGELING, TALLGRASS GOTHIC, UNDER MILK WOOD, WILD NIGHTS WITH EMILY, BOOJUM! TRUTH, NONSENSE, AND Lewis Carroll!, BRUTAL IMAGINATION, WRECKAGE, OR, and THE OXFORD ROOF CLIMBER’S REBELLION.